This idea is very simple. When any explosion (creeper or TNT) occurs in water it should have a low chance of spawning 1or 2 raw fish, salmon or pufferfish. This idea isn't so bad, actually. I think it should only work for TNT because some people (like me) would only use creepers for fishing. 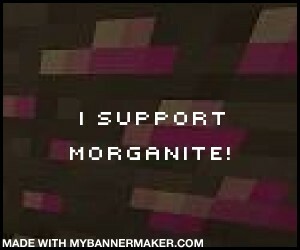 I support , lure some creepers to water and get fish ! easier to get fish and tame ocelots . Sorry about this reply thingy still trying to learn how to use the forums. Good idea. I support this. Hopefully I'll live a good life. Interesting idea. The chances for spawning fish should be way lower, because someone could put 30 blocks of TNT and get a stack of free fish. Also, would it also bring up the treasure and junk items from fishing too? I completely agree, it should be a very low chance of spawning raw fish and i am not sure about the treasure idea. i will add a poll for that. Pretty much this. 50% support. As long as it doesn't make junk or treasure items appear I like the idea. As for calculating how many fish it can kill, I think that it should be based on how many Water Source Blocks the TnT or Creeper hits. For example, each Water Source Block that is affected by the explosion has X% chance of spawning a Fish, with the possible fish having the same chance as if you used a Fishing Rod (regular Fish being the most common, then Salmon, then Pufferfish or Clownfish). I don't really know what the percentage for each block should be, but I would say getting 3-6 Fish from a single TnT should be fair. It would be a good way to get fish, but considering as a food item fish range from being subpar to decent getting a couple stacks of them from wasting 30 TnT seems fine to me. It isn't like we can't easily get thousands of food already. "Er heh guys! Werna go fishin'?" " 'ell yeah bob lemme get me TNT"
My inner redneck says full support. Also, probably unrelated but it turns out it actually works. Why just "Raw Fish"?, why not a chance of; Raw Salmon, Clownfish, &/or Pufferfish as well? With this I might actually use / want to make TNT in SPM. 50% is neutral. That pretty much means you don't have an opinion on if it should be or not. Wow guys thanks for all of the support. keep the ideas coming if they seem good i will add them to the original post. It does not. If that were the case I would've said those exact. "50% support" means I half support it. As if I "half like" it. Support, actually makes sense, it wouldn't be a bother either, because TNT doesn't destroy underwater blocks! PS, if this topic gets really popular, you should post it on reddit.